Who is on the Board of Commissioners, and what is its function? The 13-member Board of Commissioners serves as a legislative body for the communities in Macomb County. The powers, duties, and responsibilities of the Board are established by Michigan law, and commissioners are elected to a two-year term every other year. Exercise any power granted by law to charter or general law counties unless otherwise provided by this Charter. How do I know who my County Commissioner is? Commissioners represent 13 individual districts throughout the county. To find out who your commissioner is, or how to contact him/her, click here. How can I find out when the Board is meeting next? Click here for a calendar listing of upcoming Board and committee meetings, and click here to find their agendas. How can I find out how my tax dollars are spent? The county recognizes the importance of transparency in government, and is committed to keeping taxpayers informed. Budget data and information about expenditures is made available to the public through the county website. Click here to access up-to-date reports. How do I obtain a county directory? County directories are updated yearly, and are available for a nominal fee through the Clerk's office at 40 North Main, Mount Clemens. Call (586) 469-5205, or click here for more information. What do the symbols in the Macomb County Emblem mean?  Dominating the emblem of Macomb County is the County outline flanked by a sailboat and three gears which represent recreation and industry, two of the county's greatest assets. The banner traversing the County's outline contains three triskelions, an age-old symbol, representing progress. The date, 1818, is the year Macomb County was established. Circumscribing the emblem are the words Macomb County and Michigan, separated by five-pointed stars -- symbols of quality.